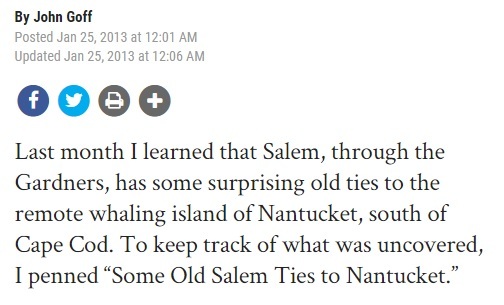 In today's Salem Gazette, John Goff writes about "Some old Salem ties to Nantucket" and references the Thomas Gardner Society's website. In the article, John alludes to the peaceful nature attained on Nantucket as opposed to the more cantankerous mode (my usage) in parts of New England. Earlier, John wrote about King Philip and about the turmoils related to his time. John and his co-author ask what-ifs about more peaceful approaches, albeit that the die seemed to have be cast earlier. Many left the old country to get away from violence (Laud's love of nose splitting and ear cutting off, as an example). Too, it was in the King Phillip's war that the Gardner family lost a son, Joseph, however Thomas and Margaret were already passed on. Aside: Governor Simon Bradstreet married Joseph's widow, Ann, who had Gov. Simon sign a pre-nup that she drew up. The house is remembered by his name, though. John Goff is one of the many modern descendants of Thomas. He will be the first in a series that we will start on descendants. We first ran across John's work (Salem preservation and newspaper columnist) on an early web search for Gardner which turned up the article on Gardner/White (the post was from 2011). John's ancestor is Richard who was the third son (Dr. Frank's book) of Thomas and Margaret. 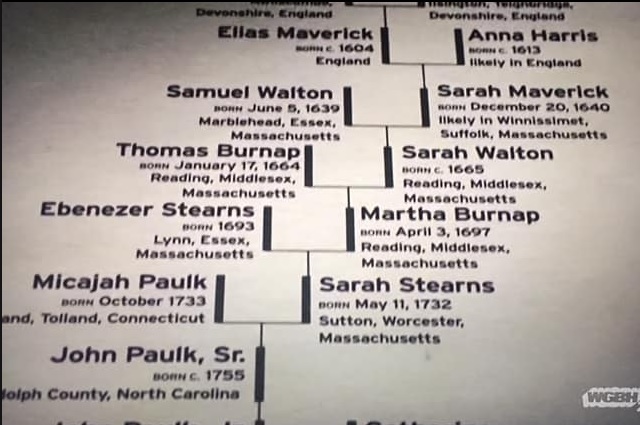 Then, John's lineage continues with Richard's son, John, who married Mary Starbucks and, then, Elizabeth who married Stephen Gorham. One planned activity will be to go through John's articles at the Gazette and create an index as part of our bibliography. For instance, this little bit on the Pioneer Village was a great read. It got me to look at Nathaniel's (a Thomas descendant) book, Grandfather's Chair (courtesy, archive.org). The Pioneer Village has a replica of the Great House (Cape Ann) that was taken over to Salem on orders of John Endicott (Winthrop dined there). Also, John has written of the Salem historians: Joseph B. Felt, Harlan Horton Smith (worked on the Pioneer Village), and more. This is the Google search result for "John Goff " at the Gazette site. The theme, for the most part, is Salem and early New England. Hence, these articles are of interest to the TGS. 01/07/2019 (updated, 02/08/2019) -- The Thomas Gardner Society, Inc. would like to thank John Goff for his support over the years. We have pulled together a list of his contributions (Gems of Salem). 11/24/2014 -- John featured at anceSTORY archives: Tidal Mills defined by John Goff. 01/25/2013 -- We need to design a framework for doing descendant bios. As we know, Roger came into the Cape Ann area at the request of Rev. John White (more below). We had an earlier post that considered some differences between Roger and Thomas. Too, the last Beacon issue looked in a Annals format (we're going to use this for awhile) at several things, one of which was John's (as in, Endicott's) relationship with Thomas (as in, John knew that Thomas was a "Mr" and related to him thusly). Thomas and Margaret were resident in the house when John had it knocked down and brought over to Salem. Aside: By the way, we're going to document this more thoroughly on Wikipedia - Great House (Cape Ann). We have John Goff's expertise available to assist us. This house was the first of its kind in New England. Now, there are relationships between the families of Thomas and Roger. Seeth married Roger's son, Joshua. No doubt, there are others. Let's look at one that is interesting. Take Rev. John White (please). His sister, Martha, married William Cooke. Then, their daughter, Elizabeth, married William Walton. Elizabeth and William and their kids came over to New England. And, their daughter, Elizabeth, married Lot Conant. This would mean, given the association mentioned by John Goff (in his article), that the Elizabeth who married Lot was a grand-niece of Thomas. However, according to a UK page, dealing with the Dorchester Company, the sister, Elizabeth, of Rev. John White who married Thomas Gardner did not have a son named Thomas. As you can see by the links, we are, mostly, in an acquisition'l mode. The intent is to find out all of the sides and their supporting material. The hope would be to find some reasonable story that has good support. Now, when it is a case that is not so strong, we can make proper conjectures. To wit? About the number of wives of Thomas: we say two. The beauty of newer methods (disparate view bridging in the cloud) will be to allow multi-faceted looks at something. We don't live in a black/white world. Yet, even fuzzy approaches can (must) de-fuzzify now and then. How to present the material with the proper richness will be a continuing challenge. Aside: There are many such questions to work on. 02/06/2019 -- Last night, the 'Roots' show (PBS, Gates) reported on Mike Stahan, a TV personality. Mary Gye came up with descendants of a mix of Essex County families. Her granddaughter married Samuel Walton whose father was a nephew of the good Rev. Samuel's sister married the son, Lot, of Roger Conant. Lots to look at regarding this particular tree (southern moves, etc.). For now, a brief mention with a graphic. 09/05/2013 -- Nice site with information related to Rev. John White. 08/22/2013 -- The start of a look at what was what in early Salem (and New England) as far as Gardners is concerned. 06/15/2013 -- Was there a Thomas and a Thomas? -- About a funny uncle, I'll admit an err. Based upon what I've seen in researching for the next Beacon issue (and even from personal observation), uncles are not saints, many times. 01/25/2013 -- John Goff is noted for his Salem preservation efforts. Earlier today, we got notice of the TGS blog being submitted for the award by Heather at Nutfield Genealogy (thank you, Heather Rojo Wilkinson). I have returned to the Nutfield blog many times while trying to untangle some of the genealogical knots that seem to lurk about. The award is sponsored at the following link; the rules are posted at the link (and are provided below). For item 2, look after the rules. The following list contains my nominations. Mark E. Miner at Miner Descent. http://engineermemes.blogspot.ca/ which is fairly new, and very relevant, blog. 08/26/2013 -- Blog with subjects related to Thomas and his descendants. 03/02/2013 -- Engineer memes is at blogspot.ca. 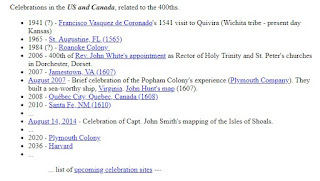 02/21/2013 -- Mark's blog has an interesting list of posts related to forebears prior to the 'puritan migration' that will motivate a few here (next post): Shakespearean ancestors. Evidently, Downton Abbey (I have not watched it, yet) has people thinking of the little realm of our ancestors. We can use the meeting meme (ala the 1692 turmoil) to cover the gamut from William's bit of ambition involving all sorts of inter-family squabbles. You see, Thomas' mixture (genes/memes) encapsulated that (as does all of our glorious selves, in one way or another). His life and choices exemplify much for us to try to know and understand. 02/07/2013 -- Found another blog of note: Gene expression (post at this time had a photo of John Quincy Adams). Note the criticism of The Seven Daughters of Eve. As I find them, I'll add 'em here. Note: 05/24/2017 -- Database problem. Most likely will shut this down and move to another technique. Note: 03/02/2013 -- See Remarks this day, below. To facilitate discussions, and activities, related to the 400th anniversaries and more, we have added a bulletin board to the TSG site. There is an easy registration step (or, browse and post as guest) including one little bit to verify that the one registering is a person (inhibit spamming). For now, no moderation is planned; we assume the usual protocols of good conduct. 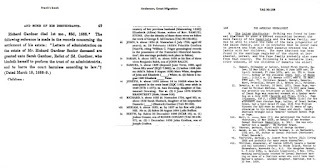 There are two threads now: birth order of the children (see the image which is cut from Dr. Frank's and Anderson's books) and initial entry of Thomas and Margaret. But we expect this list to grow. Anyone can add a thread. It is expected that some facility like this can be used to coordinate a group's interaction and to keep things moving forward effectively. 05/21/2014 -- Real progress comes in slow, small steps? 07/11/2013 -- Looking at website improvements, this date. 03/02/2013 -- Putting in the agreement didn't help. Evidently, people don't read the things. So, the spam continued. As of a few days ago, the automated registration has been disabled. New accounts can be obtained by mailing jmswtlk[@]thomasgardnersociety[.]org. Specify desired ID and particulars about your interest in the TGS. Namely, family and friends are welcomed. 01/24/2013 -- Due to spam registrations, the TGS BB requires an approval. That is, go to the site's registration page, check that you read the agreement (note, for family and friends of Thomas and Margaret () Gardner of Salem), fill in the needed blanks, and then we'll get a notice. As mentioned in the What's New at the TGS BB, we intend to have a persistent site. However, there will be improvements as we go along. Data will carry forward. 01/12/2013 -- Split TGS BB (forum) into public (can be read by guests) and private (requires registration and login) areas. For instance, the Social category has Water Cooler (public) and Break Room (private). 01/11/2013 -- Added link to TGS from FamilyTreeCircles. Found this while searching for Rachel, proposed sister of Thomas, after seeing her mentioned in another blog (Turn the Hearts). I had seen her in early browsings, but today I decided to look in more details. 01/10/2013 -- Added in a "water cooler" board, for general topics, a what's new board, and renamed the working category to Family focus. Some of this ought to be members only, perhaps, leaving only overview items as public. 01/09/2013 -- A BB is fluid, essentially. A blog is less so. One would expect that we would take information that comes in via the BB and structure it, with other information, into other formats. How this might be done will be discussed further, at some point. It's hard to believe that the 400th is right around the corner; it's close enough that we could start counting down now with 10, ... Also, which of the 400th anniversaries will we feature? We could start with the marriage of Thomas and Margaret, though we don't know the date. We do have the birth years (approximate?) of Thomas, George, and Richard that would be prior to the Cape Ann venture. One goal might be to get the arrival time a little more clear (I've seen quite a range of guesses) even if we can only identify the time that has the most support (to be discussed). For starters, the below list is to be taken as cursory (see TGS site for an early start on this), for now. There is a whole lot that could be done; and, a lot needs to be done once decisions are made. The bullet order does not imply priority. Some things may need more immediate attention than do others. Set up a mailing strategy for Gardner's Beacon and for e-mail interchange and discussion, perhaps using a message center for the latter. Given Dr. Frank's effort at publishing 100 years ago (we cannot thank him enough), our effort now ought to be to establish a cyber presence for Thomas and Margaret that is persistent, well cared for, and known to be the best source of information going forward. The current web-site (TGS.org) is only a minor step. There will be technical discussions, related to the approach to take, in regard to resources, trends, and best approaches. We are talking more than genealogical studies (we like that the NEHGS has both "H" and "G"). Document, thoroughly, the events related to Cape Ann and Salem in so far as they pertain to Thomas and Margaret. Some of this may be reasonable conjectures based what will be known once all the material is pulled together and organized. 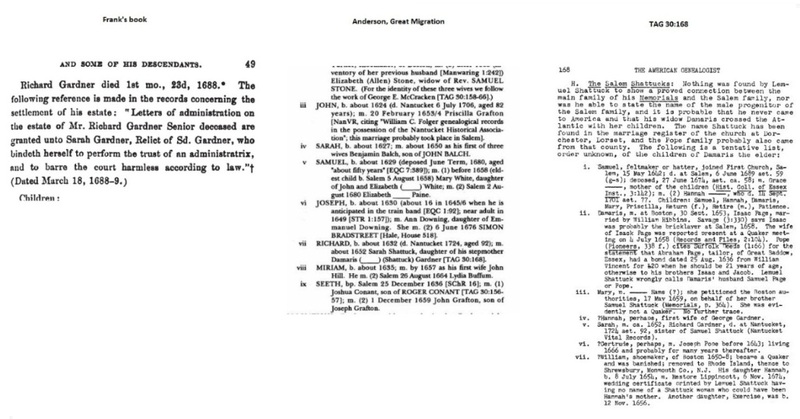 One might say that Anderson's (et al's) Great Migration (six pages for Thomas and family) is a little peek under the covers (so to speak). Start with the first few generations (three to five) and fill in the tree for the children of Thomas and Margaret (early attempt at this for two generations). The prior bullet (#3) was top-down. From the other direction, provide a means to collect information about current descendants, their stories, and tales of the sagas of their intermediate ancestors. Again, there are many ways to do this. Develop the descendants list further. In regard to the prior bullet (#4), present the coverage maps like one sees nowadays (but, with a way to control the timeline). Link this with the effort of the next bullet. Extending the idea of the first bullet (#1) and the prior (#5), develop a "game" approach (let's say, non-1st world (such as, Second Life) and educationally focused) that will allow Thomas and Margaret to be spokespersons for those times and more. This notion pertains to lessons to be learned from the experiences of those two (and, some of their cohorts) that are relevant to today (see Backbone series, as one person's opinion). One motivation might be to get the younger generations enthused about these "dead" people from their (ours') pasts. However, who knows what might flower out of new research efforts? Accomplish various tasks related to this type of organization (membership, 501(c)3, application process, research support, scholarships, etc.). Establish a regular publication schedule for Gardner's Beacon with themes determined in advance to allow for article calls. Gardners and Gardners will be of continuing interest. Associated with this, summarize the disparate information that one can find, provide an overview, and maintain the data going forward. This, somewhat, overlaps the first bullet (#1). Support other Gardner efforts (see #12, below). Organize, and maintain, a bibliography that facilitates efforts for the first (#1) and the prior (#9) bullets. Push the window backward from the Cape Ann (1623/1624) arrival in a manner that carry forward. For starters, collect everything done to date (books, family information, websites, ...) and handle much like the Gardners and Gardners effort (prior bullet - #9). DNA anyone (background, Gardner project)? Provide for, and support, regular maintenance of TGS information, such as testing for missing items (and a whole lot more), on an on-going basis. There can, no doubt, be more items added to this list. For instance, having a place for regular discussion would be nice. Too, a common method for submitting trees ought to be facilitated, at some point. The idea, now, is to start small and to build incrementally. Hopefully, if this is done, more or less, correctly, there would be fewer false steps. Of course, technologies will change. Bridging these types of changes over time is an open issue. Perhaps, after the bursts of knowledge of the last 100+ years, or so, settles down, there will be better effort at preserving states of knowledge. Actually, one talent that we humans have (not yet replicated by the artificial, yet) is creativity which can span across seemingly endless states without getting lost. So, our intent will be to foster the human side of creativity going forward. Perhaps, that might be one lesson of Thomas and Margaret. 12/30/2018 -- The 400ths will be one theme next year. 10/26/2018 -- Review the task list (above) and general status. 01/08/2013 -- Added a forum to facilitate discussion, etc. 01/07/2013 -- There are many anniversaries to plan for. Also, to the above list, we ought to firm up the order of birth. Let's say that nine children is the agreed upon number. There will be a post on this, soon. 01/06/2013 -- Need to figure a good e-mail strategy that doesn't involve reply all.